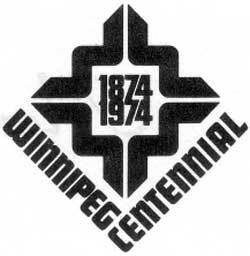 First published in The Bison on the occasion of the 90th anniversary of the incorporation of the City of Winnipeg and subsequently updated for the 100th anniversary in 1973. In the ordinary course of events the incorporation of a small city on the plains of Western Canada would provide little material on which to build a human interest story. The normal steps to municipal status through prosaic legal channelsfrom the point of public approval to the point of legislative approvalwould furnish few incidents on which to base a stimulating tale. But the conditions and circumstances surrounding the incorporation of the city of Winnipeg, far from being commonplace, were charged with high drama. One group of new citizens favored incorporation. Another group of old citizens opposed it. The conflict between these two factions came to head in a violent clash of wills, and the ensuing struggle for ascendancy, though falling short of armed conflict, brought the community to the verge of civil insurrection. The opponents of incorporationseveral well-to-do landowners, a few wealthy and retired fur traders, and the Hudson’s Bay Company, having lived for many years in a tax-free society, fought the establishment of municipal government with all the zeal and guile at their command. They knew that incorporation would bring taxation; that taxation would bring levies for public works and services. They knew also that civic ordnances, bylaws and regulations would put an end to the easy way of life they had inherited from their fathersa way of life which had remained relatively free of governmental interference since the beginning of settlement at Red River. Their attachment to this old order was deeply rooted in custom and tradition and in freedom of life and trade. As one of their spokesmen put it: “We had no bank, no insurance office, no lawyers, only one doctor, no city council, only one policeman, no taxesnothing but freedom: and al-though lacking several of the so-called advantages of civilization, we were, to say the least of it, tolerably virtuous and unmistakenly happy.” This was the benevolent society, the unencumbered patrimony which the opponents of incorporation fought to save. They fought on a wide front but concentrated their initial campaign on winning public support for their cause. Their first objective was to re-capture the support of a number of defectors who had gone over to the incorporation movement. At the same time they used every weapon in their arsenal of flattery and cajolery to lure new recruits to their fold from the inner ranks of the opposition and from the uncommitted members of the general public. They knew, of course, that these tactics, though essential to the attainment of their objective, were but the preliminary skirmishes leading to the decisive battle which was yet to be fought. To defeat incorporation they would have to defeat a Bill of Incorporation, and to do this they would have to sway to their way of thinking not only the elected members of the Legislative Assembly but also the appointed members of the Legislative Council. Winnipeg’s first Mayor, F. E. Cornish. Having this in mind, they consolidated their attack in a powerful lobby which was commissioned to win support for their cause among the provincial legislators. Though facing a formidable task, the lobby was confident of winning support in the upper house. Many of its members had already let it be known that they were opposed to incorporation. But the members of the lower house, with few exceptions, were known to favor incorporation. The lobby therefore mounted a two-pronged attack to solidify opposition to the Bill in the upper house and to win sufficient support to insure its defeat in the lower house. On the other hand, the advocates of incorporation, a small band of progressive citizens, looking to a brighter future for themselves and their children, turned to those honourable instruments of democratic politythe citizen’ committee and the mass meeting and used them to organize support for a Bill of Incorporation. The leaders of this movement, recent immigrants from Ontario, had come from communities where the free electoral system and representative local government had been in force for a number of years. They had become attached to these political institutions, first from their knowledge of their efficacy in Britain and then in Ontario, and in their campaign to establish democratic civic government in Winnipeg were driven by an almost evangelical fervor. At the opposite pole, their determination to press for incorporation was unfettered by loyalty to the old order at Red River. Thus they were bound by no ties of heart or mind to uphold the status quo. They therefore brushed aside the cause of the opposition as the forlorn hope of an ultra-conservative minority, vainly striving to preserve an outmoded way of life. Even mounting evidence that powerful forces were being arrayed against them did not turn them from the prosecution of their two-fold objective: the production of a “Bill to Incorporate the City of Winnipeg,” and its acceptances by both provincial housesthe Legislative Assembly and the Legislative Council. While the citizens’ committee was marshalling support for incorporation, a small sub-committee, working quietly behind the scenes, finished drafting a Bill of Incorporation. Then, after the various articles were endorsed by a public meeting, the final draft was presented to the government. When the Bill came before the Legislative Council it was greeted with open hostility. Some of the members on one or several groundspersonal interest, family ties, or business connectionswere bound to oppose it. Others, swayed by the pressure of the House, opposed it on the patently contrived grounds of political expediency. A few, favoring incorporation, bravely stuck to their guns but were silenced by the blasts of the majority. In the lower house, the hot potato, now scarred and pitted by the amendments in the upper house, was given short shrift. Some of the amendments pertaining to finance and revenue infringed on the constitutional rights of the Legislative Assembly. These were rejected on sight. Then the Bill, as doctored by the Legislative Council, and bearing little resemblance to the original document as developed by the citizens’ committee, was dropped in the Speaker’s lap. Mr. Speaker, wisely sensing the temper of the house, threw out the unwanted legislation on the grounds of technical inadmissibility. The opponents of incorporation saw in the Speaker’s action an omen favorable to their cause. They were not, however, sanguine to the point of hailing an unsullied victory. It stayed the advance of their opponents; it provided time for both contending parties to regroup their forces, and it offered the prospect of new assaults being mounted against the legislators. On the other hand, some citizens who were favorably disposed to incorporation interpreted the Speaker’s decision as a downright evasion of responsibility. A few assessed it as an ill-contrived tour de force, designed to keep the Bill from being reintroduced in amended form. Others dismissed the Speaker’s ruling as unprincipled pandering to patronage and privilege. Some astute observers did not share these points-of-view, but to the contrary welcomed the Speaker’s decision as a respitea time in which the turbulent political climate might have a chance to settle. As tempers cooled and passions waned, differences of opinion might be resolved, extremes of opinion might be bridged. In short, the atmosphere might clear so that the Bill could be reintroduced, preferably in its original form, and if not, at least in minor modification. There were, however, few points of compromise between the articles of incorporation as drafted by the citizens’ committee and the watered-down version as produced by the Legislative Council. The amendments, unacceptable in part to the Legislative Assembly, were wholly unacceptable to the citizens’ committee. Therefore, following the rebuffs in both houses, the incorporation movement called an indignation meeting. It was well organized, well planned, and well attended, but in between the business at hand tempers flared, fighting speeches were hurled at the legislators. vitriolic outbursts were aimed at the Speaker, and some truculent members of the assemblage, pressing for militant action, called for a show of forcea march under arms to force the legislators to grant their demands. The chairman of the meeting, exercising rare restraint, permitted the extremists as well as the moderates to give full rein to their respective points-of-view. Then, when the former had vented their wrath, the moderates were able to sway the meeting in favor of a temperate course of action. A resolution calling for the citizens to march to the floor of the Legislative Assembly, there to demand reintroduction of the Bill, was passed unanimously. The proposed march, purged of unruly elements, could be an orderly demonstration of solidarity. So it was regarded by its sponsors. But the legislators, reacting to the ill-tempered winds of rumor, assumed that they would be confronted by an angry and undisciplined mob, primed for combat at the slightest provocation. Therefore, on the morning of the march, the legislators, on one pretext or another, stayed away from the legislative building. Thwarted by this affront, the citizens (to their everlasting credit) made an orderly retreat to consider their next move. However, a few impatient citizens, impelled by vexation and frustration, took things into their own hands and on the night of March 6th seized Dr. James Bird, the Speaker of the Legislative Assembly, and smeared him with tar and feathers. The doctor, called from his home on a pretense, was on his way (so he thought) to attend the wife of the Reverend John Black of Kildonan. But as he neared Point Douglas House, (on the site of the former Royal Alexandra Hotel), he was waylaid, dragged from his sled and brutally attacked. A public outcry was raised against the perpetrators of this reprehensible act The apprehension of the culprits was demanded, and for once the Mole community seemed to be united in demanding punishment for the offender. But a reward of $1,000, a considerable sum in those days, posted for information leading to arrest, was never claimed. While many citizens took umbrage with Dr. Bird for rejecting the emasculated Bill of Incorporation, few would have stooped to harm him physically on that account. He was a popular citizen, a dedicated and faithful practitioner, a man of refinement and culturean anchor of probity in a community in which rough and lawless characters periodically challenged the authority of the law by open violence. The people at large admired and respected Dr. Bird. He was, after all, a son of Red River, born at Middlechurch and educated at St. John’s College. His father, Chief Factor James Curtis Bird, one-time Governor of Assiniboia, had been a leading figure in the fur trade and an able administrator under the rule of the Hudson’s Bay Company. 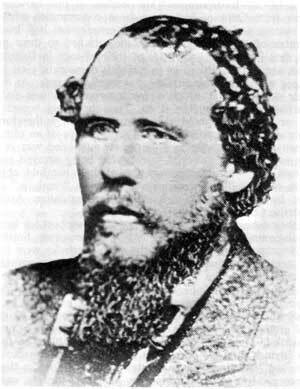 Thus, by birth and tradition, Dr. Bird’s sympathies would naturally incline to the old order at Red River. Even so, all fair-minded citizens agreed that he would not have allowed these attachments to prejudice his duties as Speaker of the Legislative Assembly. 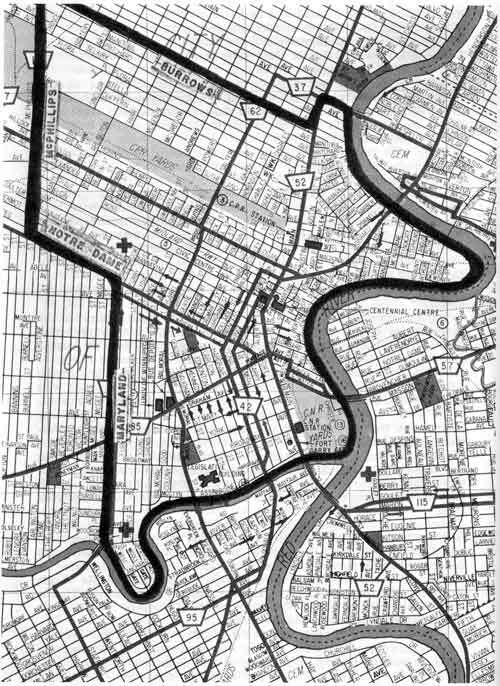 Original boundaries of the City of Winnipeg, 1873, imposed on 1973 street map. Finally, months after Dr. Bird’s maltreatment, and as an outcome of gathering pressure by the citizens’ committee, the Bill of Incorporation, in slightly amended form (from the original document), was reintroduced in the legislature. On November 8th, 1873, it was passed. Such was the temper of the people that had the government taken a contrary course of action, it would have led, certainly to political suicide and probably to open strife. As it was, the conflict between the Legislative Assembly and the Legislative Council over the Bill of Incorporation led to the abolition of the upper house two years later, the deciding vote being cast by none other than the Speaker himself, the Honorable Colin Inkster. Thus the City of Winnipeg, born of two seemingly incompatible parentsthe old order and the new, was incorporated. Some pessimists said that the new city was born too soon. Others said it was born at the wrong place. Other detractors looked on it as a small, anaemic community with little hope of survival. “It is a wild and optimistic experiment and doomed to failure,” wrote one eastern pundit. Another observer, encumbered with more verbiage than vision, declared: “This civic anachronism in the wilds of Western Canada cannot last. It will probably die in infancy. However, contrary to these forecasts of doom, the first city council held high hopes for the future, and when they set themselves to the task of selecting an official crest for the new city their aspirations took expansive form. As heraldic devices they chose a buffalo, a railroad locomotive and three sheaves of wheat. The buffalo, symbolic of the old order was on all counts an appropriate choice. But the locomotive on the city crest stood emblazoned there for five years before the first train reached St. Boniface and stopped there because there was no bridge across the Red. Seven years would pass before the first locomotive puffed across the Louise Bridge to Winnipeg, and twelve years would come and go before the first transcontinental train would arrive from Montreal. The sheaves of wheat were symbols of a dream more than of reality. Wheat was not a factor, certainly not an export factor, in the economy of the new city. How could it be? Even if crops were produced in excess of the needs of the local population (as sometimes they were), how could they be transported to markets beyond Red River? Where were the markets? It would be three years after incorporation before the first wheat shipment left Winnipeg on a sternwheel steamer, and twelve years would pass before Manitoba grain began to move to eastern markets over the Canadian Pacific Railway line. So the locomotive and the sheaves of wheat, quartered on the city’s crest, were symbols of the future not of the present. The economy of the new city (such as it was) was tied to the fur trade and to the provision of food, supplies and services for the small local population. But in spite of this narrow economic base, the city fathers inscribed beneath their bright new city crest the enigmatic motto“Commerce-Prudence-Industry.” Such uninspired doggerel embodied the twin paradoxreservation and expectation. But here again the city council was looking more to the future than to the present. Certainly at the time there was little beyond the fur trade and local industries of service and supply to justify the dual pretension of commerce and industry. Furthermore, one cannot help but wonder by what queer quirk of semantics the feeble “Prudence” was given the central place in the city’s motto. There was very little prudence among most of the new citizens of Winnipeg. They were frequently daring and adventurous, sometime rash and capricious, and periodically improvident and foolhardy. They were seldom cautious or discreet. There was little of prudence in their individual and corporate philosophies, and had their actions been governed by this recessive quality, they would not have been at Red River in the first place. Similarly, right from the start, successive city councils shunned prudence, discretion and circumspection. They took chances; were bold and aggressive, and sometimes far ahead of their times. Portage Avenue and Main Street were preserved in their magnificent breadth by the first city council, although it is to the Red River Carts travelling in echelon that we owe the original wide sweep of the Main and Portage trails. The Shoal Lake aqueduct and water supply, hydro developments on the Winnipeg River, and the lovely large parksKildonan and Assiniboine, were all projects which were put in train long before current need alone supplied the impelling force. But the feeble “Prudence,” just like a jealous lover, stuck fast, and there it remains to this day, incompatible with the aggressive spirit of the city. When Winnipeg was incorporated, a small diversified economy was beginning to produce goods for local use and consumption. A cabinet factory was turning out plain furniture for homes and business establishments. A brickyard was producing crude bricks for chimneys and fireplaces. Later, under improved mixing and firing, local yards would contribute bricks for homes and business blocks. Masons were shaping native stone into building blocks. This lovely Ordovician limestone, later to be called Tyndall Stone after Sir John Tyndall, geologist, geographer, physicist, who first discovered the Devonian strata in the Welsh Hillswas a similar deposition to the beds at Tyndall and Garson. Blacksmiths and wheelwrights, saddlers and harness-makers, carriage-makers and boat-builders, millers and bakers, were turning out their own distinctive goods and wares. Many of these artisans had come to Red River with Colonel Garnet Wolseley’s Expeditionary Force to quell the Riel Uprising (1869-1870) and had stayed on. But the economy was very largely parochial, and exports, other than furs and hides, were a negligible factor in the business life of the new city. Flour mills, reacting to the introduction of better machinery and better storage facilities, were producing a fine white flour. This was sold to local bakers and housewives, to cart and boat brigades, and to survey parties and railroad construction gangs. The lumbering industry, the first big industry centered in Winnipeg after the fur trade, and from which several great “Wellington Crescent” fortunes were made, was turning out clap-board, beams, joists, and general dimension pieces for building construction. The first logs were rafted down the Red from eastern tributaries and from large Minnesota pine stands. A telegraph line to St. Paul connected the small community with large centres in eastern Canada and the United States. There was a once-a-week mail service between Winnipeg and the railhead at St. Cloud, Minnesota. A tri-weekly stage operated to Abercrombie, South Dakota. Steamboat service had long been established on the Red. The vast mineral resources far to the north of the city and to the east lay unknown and untouched. Winnipeg’s City Hall constructed in 1875 in a state of near collapse, 1883. Three years before the city was incorporated one hundred people were reported to be living in the “Village of Winnipeg.” A year later the population had doubled. In the following year a seven-fold increase boosted the figure to 1,467, and in the year of incorporation there were over 2,000 people in Winnipeg. Next year the population soared to 3,700, and in 1875, two years after incorporation, it reached 5,000. The new city was nonetheless an anomaly. Most of the old settlers and the descendants of the original settlersthe French in St. Boniface and in the parishes along the Red and Assiniboine, the Scots in Kildonan and Frog Plain, the retired Hudson’s Bay Company officers and servants at Middlechurch and St. Andrews, and others besides, including the scattered Métisfar outnumbered the new citizens, chiefly Ontario people, who founded the City of Winnipeg, gave it its character, and sustained its predominant culture for almost seventy-five years.